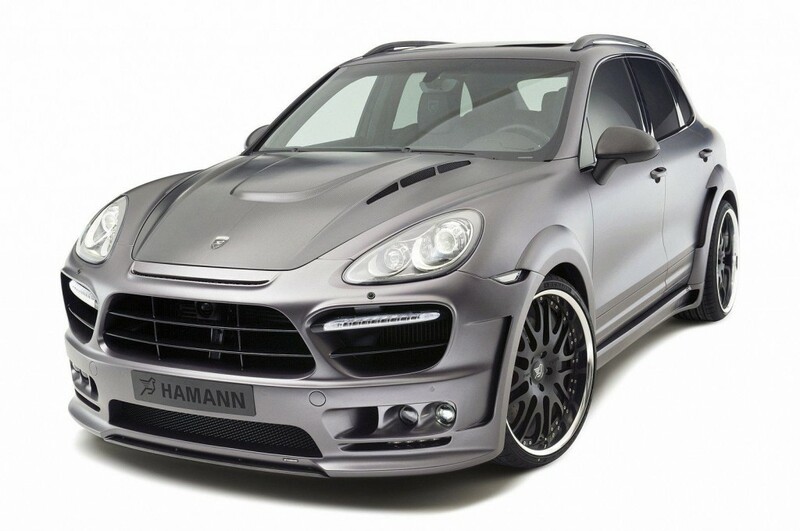 Hamann is the German tuning firm specialized in BMW and Porsche cars and now has presented at the Geneva Motor Show their latest work for Porsche Cayenne Turbo, called Guardian. 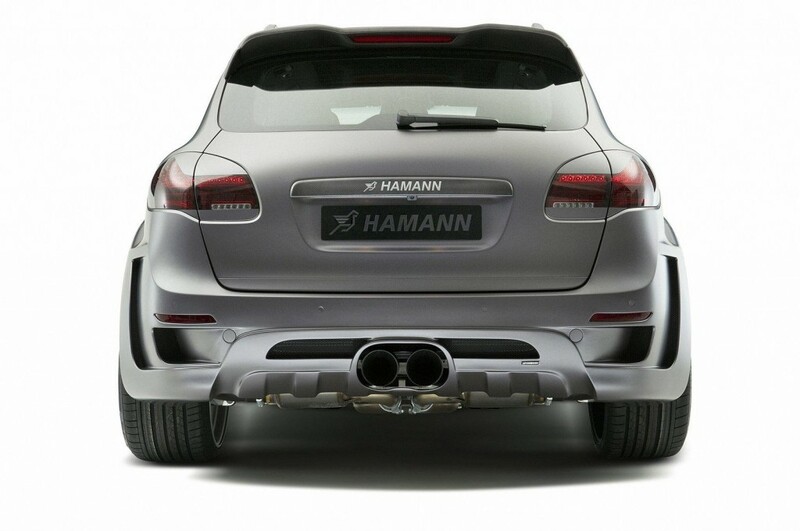 You know that we prefer to talk first about what’s under the hood, so you should know that the tuning package for Porsche Cayenne Turbo Guardian by Hamann has an increased V8 twin-turbo engine for a full 550 PS, two big exhaust pipes mounted centrally, sport exhaust system, catalysts, air filter and silencer. 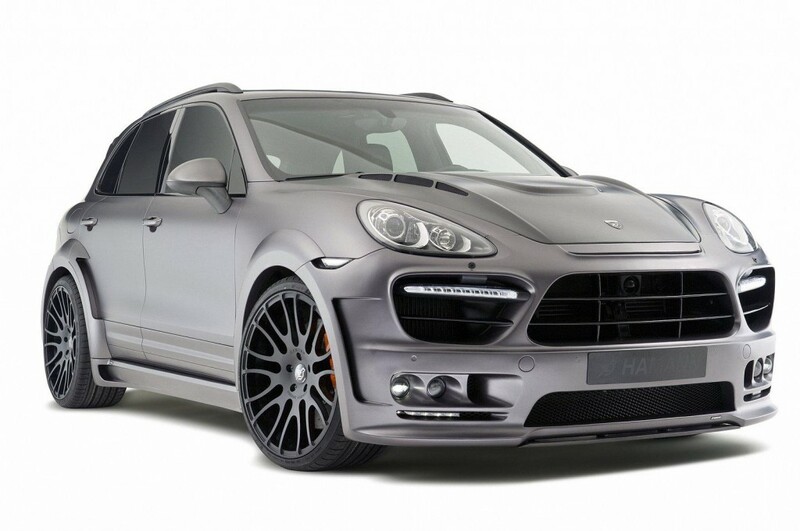 Porsche Cayenne Turbo Guardian by Hamann has ceramic sport break system, ultra-light forget rims and Dunlop Sport Maxx tires. At the exterior, the Guardian is painted in gray and black, has LED daytime lights and integrated fog lights, large air inlets and it is wider by 160 mm in rear and 120 mm in front with fender extensions and side skirts. 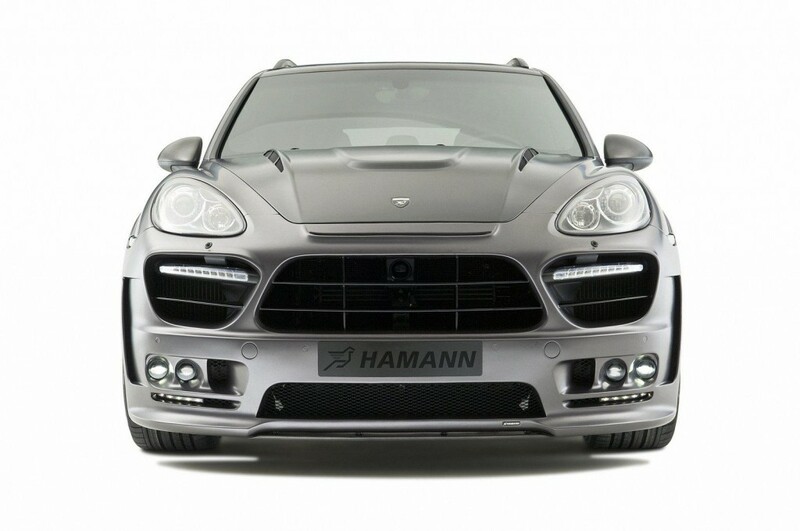 At the interior, Porsche Cayenne Turbo Guardian by Hamann has leather accents and sport seats, ergonomically refined steering wheel and carbon trims made center console.